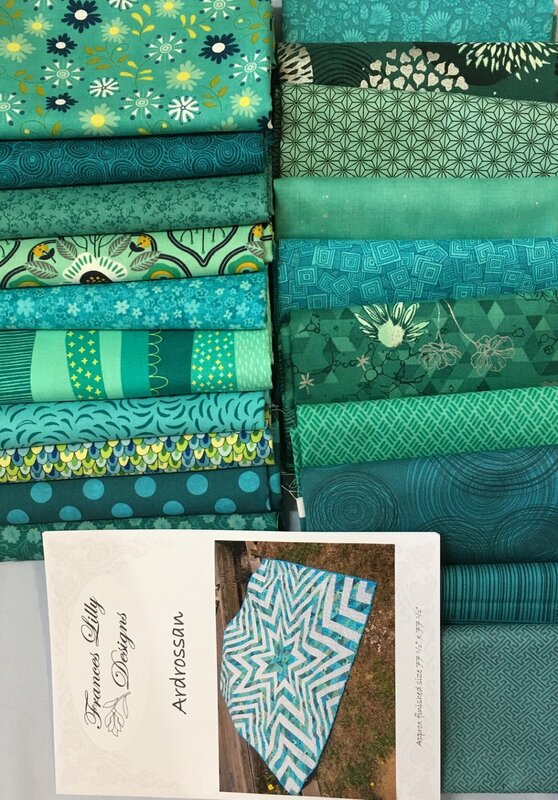 Twenty fat quarters blending aqua, blue, green tones , and pattern. Quilt measures 77 1/2" square. Additional 3.25 metres background required.